Adventures with Jude: Back to Homeschool Giveaway! It's back to school time for all the Falciani kids! It's crazy here, making sure everyone has the right tools. My biggest list right now is for our Arts and Crafts supplies...we LOVE arts and crafts. In fact, starting on Monday, August 5, we're going to spend an entire week sharing ideas for arts and crafts with everyone. 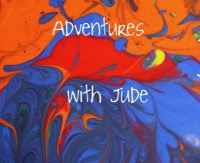 I hope you'll join us here at Adventures with Jude, and then check out what the other members of the Schoolhouse Review Crew are writing about. By the end of the week, there will be 450 articles from 90 writers. If it's quiet here for a couple of days, it's because I'm so busy reading! But as much fun as the Blog Party will be, what's a party without presents? 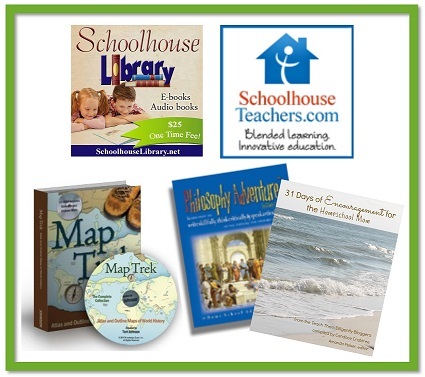 I'm joining with 10 other bloggers and 3 homeschool companies to give you the opportunity to win some terrific prizes to celebrate the start of the new homeschool year. 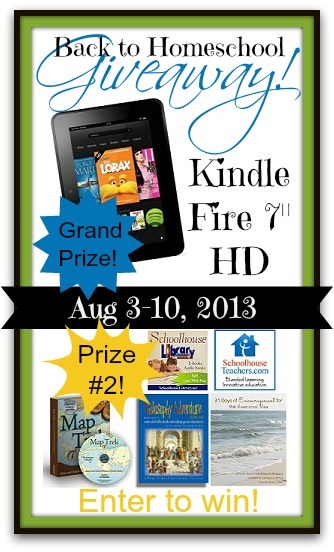 The GRAND PRIZE is a Kindle Fire 7" HD Tablet! And because we couldn't possibly have a Back to Homeschool giveaway without some homeschool curriculum and encouragement, a second reader will win this awesome prize package, a $309 value! Now it's time to enter! Use the Rafflecopter below. All entries will be verified. Contest is open to U.S. Residents, age 18 and older. Other Terms and Conditions noted in the Rafflecopter. I hope this year is a fantastic new adventure for everyone! 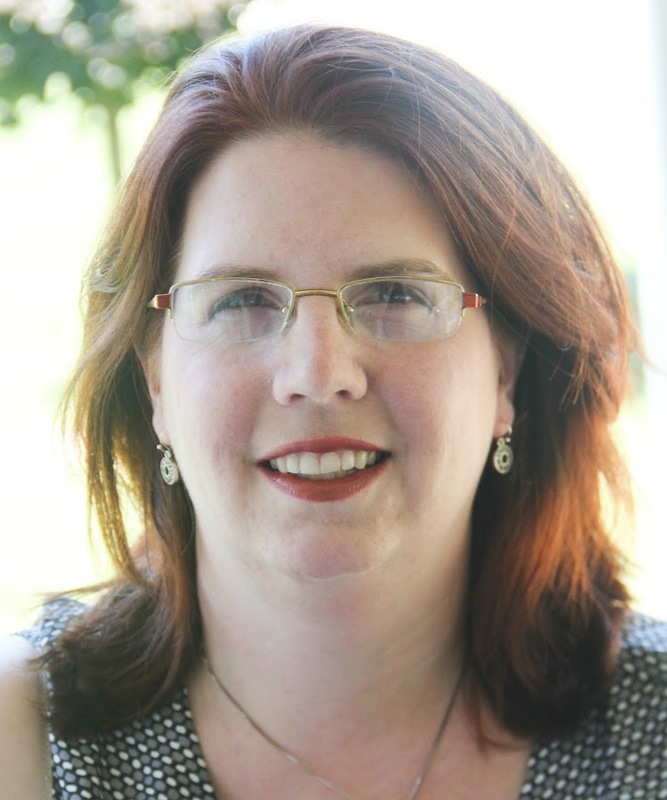 This is a fantastic giveaway, and I would LOVE to win the Kindle. I am looking forward to our fantastic adventure this year! Fingers crossed on this amazing giveaway! My sons and I sat down to work out a schedule today. Most of their books are from the Ambleside suggestions and are free for Kindle. The new schedule has them both doing their reading at the same time, which means I have two boys fighting over a kindle at the same time. This would make a great solution to that problem!